We connect organizations to make a sustainable food community. We curate variety boxes of this fresh, rescued produce & pack it up for delivery to your doorstep for less than grocery. You make it your own by adjusting the mix of fruits & veggies & adding on specialty items like eggs, granola & coffee. We deliver directly to you & deliver impact directly to our communities. Every delivery saves at least 10 pounds of produce from going to waste & supports the work of local hunger-solving organizations. The Food Shuttle Farm provides locally grown, chemical-free produce for those in need. 80% of the land under cultivation grows food for distribution at our School Pantries, Mobile Tastiness Machine, Mobile Markets, and Grocery Bags for Seniors, providing the freshest produce possible to those in need. The remaining 20% percent of the crop goes towards for-profit production to contribute to the farm's financial stability. They sell fresh fruits and vegetables. We strive to give the not quite perfect, but still nutritious and delicious produce a chance to make your taste buds tingle. We work closely with farmers to source the freshest “ugly” fruits and vegetables available. Fresh produce is hand-packed into our convenient produce boxes, and delivered direct to your doorstep for 30% cheaper than grocery store alternatives. Save money, time, and reduce food waste in just one click! 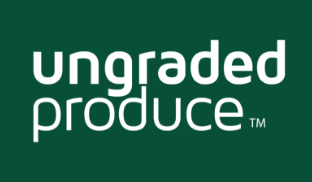 Ungraded Produce is your partner in helping fight hunger! For every box sold, Ungraded will donate a portion of fresh produce to local pantries, making farm fresh produce more accessible in our community. We can all work together to make a difference!